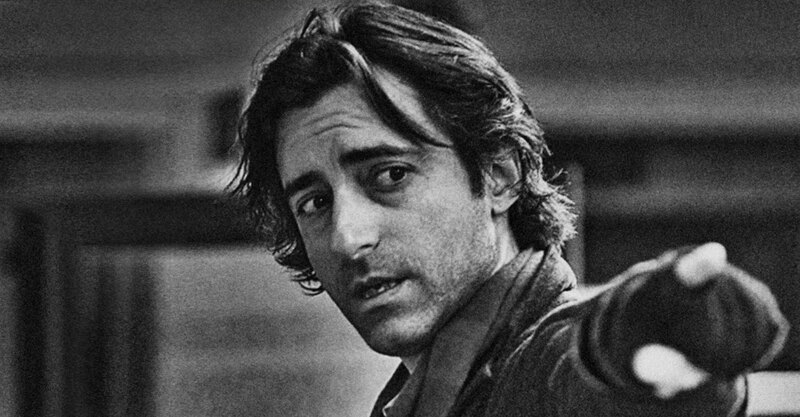 Mr. Baumbach, how do you decide on the style for a movie? Sometimes scripts should be filmed as straightforwardly as possible, because to cut them up would reduce whatever is already working. The opposite is true when a script needs a visual idea to transform what has been written. But I find much of that comes to you in the process of making the movie; the decision is intuitive. I go with an impulse and say where we should or should not cut. And we do that through the whole movie and then we start again! Working so intuitively, do you ever look back at a film and wish that you had done things differently? It’s not like I wish that my movies were different. I make these movies because that’s what I’m interested in and that’s what feels like a movie to me. I just make whatever I am interested in making. By doing that you’ve carved out a Noah Baumbach genre that you really own. In 20 years do you think you will still be making this same kind of movie? Of course not, but your work does have a consistent style. Well why would I give the style that I have away? (Laughs) I feel that for each movie as I write it the style and approach somehow reveals itself. Sometimes while I’m writing it I have a distinct idea of how I want to shoot it and sometimes it’s only after I’ve sat down with the cinematographer and started prepping the movie that I start to think about the style. How does an idea for a movie start for you? It can be combining something disparate. With Greenberg, for example, I had the idea with the character and I wanted to make a movie in L.A. and about L.A. Then I put the two things together and that was the movie. With Francis Ha I wanted to do things in black and white, in New York, and with Greta Gerwig. These are the more conscious things. You worked with Greta Gerwig in both of those films. What makes her special to you? There is something both very naturalistic about how she comes at a character, but she is also very in control of what she’s doing – and she’s really funny. In some cases it was overlooked how funny she was in Greenberg. With Frances Ha I wanted to give Greta a part in which she could show what a great comic she is. Something Diane Keaton might have done. Or even going older, like Carol Lombard, who would have these roles or scripts that would showcase their skills. Greta has those old studio system chops. In the old days they would take classes and could all do everything. Like Claudette Colbert, Carol Lombard, or Katherine Hepburn, they could be in something totally dramatic or totally funny and they were great in both. They could sing, they could dance, they could do everything. Greta can also do all these things. Both your first film Kicking and Screaming and your latest film Frances Ha are about 20-somethings struggling to grow up. Do you have a different perspective on coming-of-age now that you are older? Kicking and Screaming I did when I was 24 and it was about 21 year olds and I felt like I was already looking far back into the past. I remember people back then saying, “Nobody really cares about young people.” I thought this was important because I was going through it, but people were like, “When you get older these concerns will seem trivial.” So, I have gotten older and I still have the same concerns. (Laughs) But yes, it was interesting to make a movie about characters of a quite similar age as in my first movie and have 20 years on them. Do you feel like an adult now? Do I feel like an adult now? I guess, yes, I do. What was the decisive moment? Like you said, Frances Ha was shot in black and white in New York. Is Woody Allen a big influence for you? I did think about Woody Allen’s movies with Frances Ha because Woody Allen’s movies were also in black and white and very contemporary. Manhattan and Stardust Memories are not period pictures. Particularly in Manhattan you have the grandeur of the black and white and the Gershwin music sort of playing up against a more intimate storyline in which, when you break it down, is really just people sleeping with each other and trying to figure out their lives. But something about the filmmaking and the approach to it makes it feel almost epic. And, ultimately, the concerns of those people are epic. That movie is a masterpiece. A lot of your films are about the “epic” concerns of ordinary people. Do you think that it is possible to make better art by sticking to familiar subject matter? Annie Hall, Manhattan, Broadway Danny Rose, Hannah and Her Sisters and Crimes and Misdemeanors are all Woody Allen movies and they all have similar themes and preoccupations, but I think the achievement of his career in those movies is that they are all complete, full meals in themselves and the pleasure is in seeing him and his personality in them. I wouldn’t want him to make something else. And if he did make something else it would feel like him again anyway, wouldn’t it? You just can’t get away from yourself. Even if he would have made, I don’t know, an epic war movie? Well, Robert Altman made so many different kinds of movies and they all look so much like Altman. He did make different genres. He made a Raymond Chandler movie, but The Long Goodbye feels as much like a Robert Altman movie as Nashville or MASH, which is a war movie. But they are so much him. So, this raises the obvious question: would a Noah Baumbach superhero movie still be recognizable as a Noah Baumbach movie?